A perfect smile is not possible unless your teeth are white and bright. Sadly, bad food choices and poor oral hygiene often harm our pearly whites gradually and make their natural shine fade away. This is when our teeth turn gradually yellow making our smile look bad. However, there is no need to worry as you can consult the dentist and whiten your teeth in a cost-effective manner. And if you don’t want the dentist to use chemicals to bleach and whiten your teeth, there are some natural ways as well to trust. You can get your teeth whitened and brightened naturally at home itself and improve the charms of your smile manifold. A lot of methods and techniques are available that people across societies use to whiten their teeth with minimum fuss. You must have seen the Ad on TV where toothpaste brands highlight the use of activated charcoal in their products. In fact, most premium toothpaste companies use charcoal as a key ingredient to let their customers whiten their teeth easily. You can thus take a cue out of this practice and go about using activated charcoal to get whiter and brighter teeth. 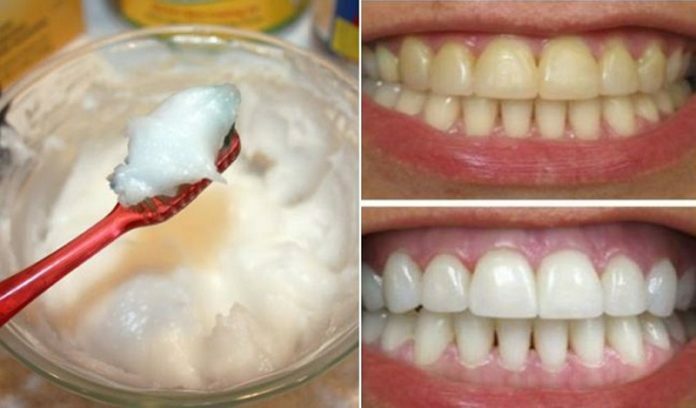 This method is not only easy but also quite inexpensive, and you can count on it to naturally whiten your teeth at home. You just have to use a charcoal tablet, crush up one into a toothpaste powder, then dip your wet toothbrush into it and brush as you normally do. Using baking soda and lemon juice in combination has been in practice for decades for whitening teeth. People across the world trust this method to get whiter teeth in a simple and effortless manner. The method is as simple as it can get – you just have to put a pinch of baking soda on your toothbrush and then sprinkle over it a few drops of lemon juice. Now, you can brush gently for 2-3 minutes and see the effects almost instantly. However, you’re advised not to use this method more than twice a day (even once a week is fine). Any talk of whitening your teeth is incomplete without the mention of hydrogen peroxide. This very method is also used by dentists when whitening is done in-office. Hydrogen peroxide is good for those people whose teeth are not sensitive and who don’t have any dental issues. The method is very simple where you have to dip a cotton swab into the peroxide and then rub the teeth gently. Dentists however advise not using this method frequently else there might be a risk of enamel erosion. So, you can use it not more than twice a week to get your teeth whitened without any harm. Our teeth often turn yellow and get stained due to poor oral hygiene. We easily allow bacteria and plaque to store up there and cause damage which could easily be avoided. You however can trust lemon juice and water for naturally whitening your teeth at home in a safe and secure manner. The procedure is very simple where you have to take a mixture of lemon juice and water in equal parts and gurgle the mouth. This method not only helps whiten your teeth but can also disinfect the oral cavity. It can skill bacteria in the mouth and this is how natural whiteness of the teeth will be maintained. A lot of people trust the mixture of apple cider vinegar and water to naturally whiten their teeth at home in a safe manner. This tooth whitening technique is simple and effective, and it does not cause any harm. While using this method, you just have a dilute half a teaspoon of apple cider vinegar in a glass of water. 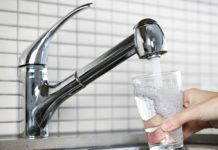 You can this use this solution to rinse your mouth every morning before starting your normal brushing and flossing schedule. This method is safe, and you can use it every day without any concern. Needless to say, it’s quite inexpensive and delivers great results. You can use coconut oil pulling to clean and whiten your teeth easily. Some people also apply this oil to their teeth after brushing to get desired whitening results. With oil pulling, you just have to swish a spoonful of oil in your mouth for 5 to ten minutes and then spit it out. You can also add the oil on your brush and clean the teeth for effects. It’s good to consult the best dentist in Hyderabad to know and check whether all these methods to naturally whiten the teeth are fine for you.